Not all words are created equal. Some are more powerful than others. Some are more precise. Some will elicit the right reaction. Every writer knows just how important it is to choose just the right words. No. Wait. That’s not true. Every writer knows that it is important to choose just the right words, but most have no idea just how important it is. But sometimes it can be quantified. I was listening to the radio while on a road trip – I think it was the John Tesh Show (I should have written it down, but I was driving with cramped, white knuckles through a snow storm at the time). He said that houses on streets labeled “boulevard” sell for 17 percent more than houses on streets labeled “street” or “avenue” (one or the other; it’s that not-writing-it-down-while-trying-to-stay-on-the-road thing again). That is a huge difference. Even one or two percent of a huge price like that is worth a lot to you. The answer is, yes, it is worth your time and effort to lobby your mayor to change the name of your “street” to “boulevard”. You see, not all words are created equal, even if they all are listed in the same entry in your thesaurus. Enstine Muki tweaked a page of his website, by changing one word – yes, just a single word – to generate an extra $525. He changed “replacements” to “alternative”…because people search for alternatives, not for replacement (at least in the case of the product he was writing about). All he did was tweak one word so that it was speaking the people’s language, and he made money from search traffic and from providers that wanted a piece of it. I would be curious to know what the difference is between Harry Potter and the Philosopher‘s Stone and Harry Potter and the Sorcerer ‘s Stone. The first title was the original British version. The second title was created just for the US market. I wonder what the reason was for the change, and whether it ended up selling more books than the original title would have sold. I guess we will never know. “The short words are best, and the old words are the best of all.” – Winston Churchill. Pick words your readers use. This always make sense. If people find your page by searching for “sturdy shoes”, use those words on your page rather than “sturdy footware”. Choose precise words. If you are careful, your words will tell people exactly what you want them to know. If you are less careful, some people will take away a different meaning. You will lose them. Choose sensory words. As Zig Ziglar famously said, “People don’t buy for logical reasons. They buy for emotional reasons.” Make your readers feel. Make each word relevant. When every word counts, you communicate so much more than when you just thrown in a lot of extra fluff. 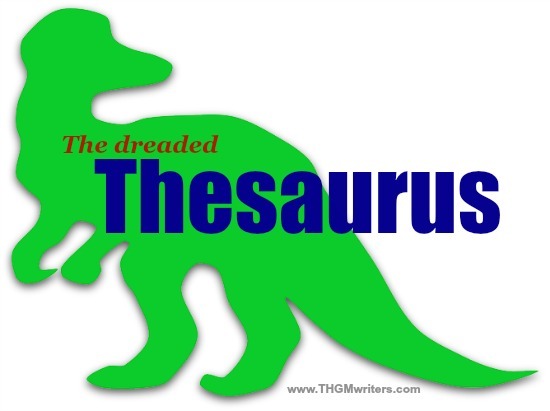 Don’t just open up a thesaurus to see what new word you can add in. To which I would add one more… Test your options! Not all words are created equal. If you are not sure which word will be most effective, try running a split test and see which word draws more people in or converts more people to take action. I see a lot of genre writing that fails because it uses contemporary language rather than contextual language. Regional dialects and terminology are important. That can be tricky. It is a delicate balance between adding color to one’s text on the one hand, and making sure that the story is clearly understood by the reader from half-way across the world on the other hand. Words have consequences, both good and bad. Words actually have the power to kill and to give life. I used to be ignorant towards the power of words but as I got older and saw how much words really impacted people – I began to take them more seriously. My words influence the people I attract into my life. They affect my children and will determine how they will grow up. They influence my attitude and others around me. Words are currently determining the outcome of my career. e.g. I learned how to knit sweaters as the result of reading this book. I learned how to knit sweaters as a result of reading this book. The first statement has precision and is telling the reader without uncertainty, they will learn how to knit sweaters if they read this book. The second statement is telling the reader with uncertainty that by reading this book they might learn how to knit sweaters. A thesaurus can be a valuable tool if harnessed correctly. Trusting the contents of a thesaurus with blind faith is foolish and must me utilized with wisdom and accuracy. Absolutely, Brian. This post was about how words influence business, but you and I are both parents – and that really opens up one’s eyes to the power words can have. Publicly speaking badly about another company, professional or someone else in the marketplace is a very poor choice of words. In my professional life – I live by the standard of never talking negatively about another business or professional. It always looks bad on the person doing the trash talking. it might tend to work in politics – earning votes by running smear campaigns against their opponents. But in the marketplace smear campaigns to attract customers is a very bad idea and a poor choice of words. You’ve raised some good points here both for marketing and beginning writers. I critique a lot of partial manuscripts that either clearly look like the author has gone through with a thesaurus and swapped out words trying to make their characters appear smarter, or used such extensive slang and local dialect that I couldn’t understand the dialogue, or even the writing. On the difference between “Harry Potter and the Philosopher‘s Stone” and “Harry Potter and the Sorcerer ‘s Stone,” I think it’s that the philosopher’s stone isn’t a widely known myth here, and children especially aren’t likely to know of it. They’re more likely to read it as separate words – meaning the stone that belonged to the philosopher – which has no special meaning. Changing the name to “sorcerer’s stone” made it immediately clear this was a magical object. Yes, the new title would have had a profound impact on sales; Scholastic was absolutely correct in insisting on the change. Again, please remember the book was originally marketed toward children, Scholastic was dealing with what they were likely to know and would therefore find appealing, not what adults know. You are sooo right about making each word count. Perhaps you and some of your readers could help me out with making a decision for my writing site, with a new tagline. 1. Working Wizardry with Words. 2. Writing and Editing that Works. 3. Crafting Copy and Perfecting Prose. 4. Quality writing, editing, and web services at affordable rates. I like the first choice best, but don’t listen to me – Harry Potter is pointing his wand at my back. I was thinking the same thing, as I can build a new logo with a wand and market my “magic” quite well. I like #1 best also–from the standpoint I’d choose to read a book by that title over books which use the other 3. But if you are offering a service, you should slip that in somehow–otherwise Title #1 could be about almost anything. Great point! A good subtitle or tag line underneath the slogan to add the clarity and precision that are so important. My logo will have my business name on a blackboard. Because I’m a teacher, too, this just makes sense. Thanks for helping me find clarity! A very good topic to discuss. Our choice of words is very important for the reasons that you mentioned above. We write for our readers, and not ourselves. Therefore, making flexible adjustments may be necessary. Emotions and relevancy are highly important here. If someone doubts this, they should look up Frank Luntz, the Republican wordsmith, who is paid a fortune to couch ideas in words that help sell their ideas.